These will be a EE width. 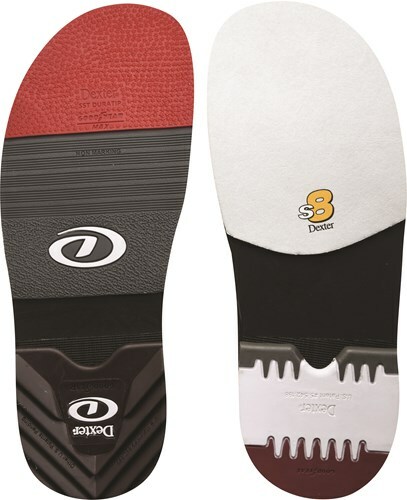 This innovative lacing system contains three main parts: a micro-adjustable dial, super-strong lightweight laces, and low friction lace guides. I have a problem with sizes. 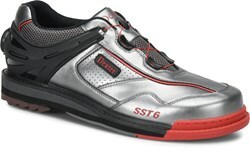 I'm a size 12 but in bowling shoes I'm a 11 on my last pair sst8 wondering if the same on these sst6 ? All the SST's should fit the same way. Is there an exact date these will be available? These will be available late July. Does this shoe have a larger toe box than dexter’s the 9s? They will be about the same. If I order these shoes in wide width and purchase the true fit option could I exchange them for the regular width if they are to wide? Yes, of course. That wouldn't be a problem. Due to the time it takes to produce the Dexter Mens SST 6 Hybrid BOA Grey/Black/Red Right Hand Wide Width ball it will ship in immediately. We cannot ship this ball outside the United States.